Corporate media and many top officials in the Democratic and Republican Parties raged against what they perceived to be a move toward ending the US wars on those two countries. 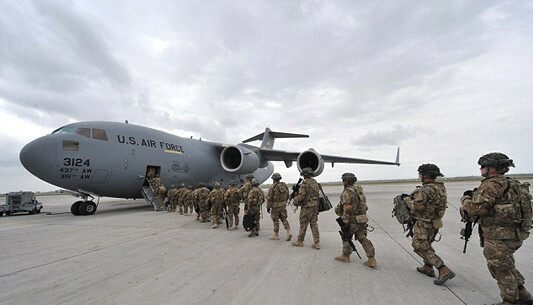 Some couched their disapproval by criticizing the suddenness of the troop reductions, or by calling attention to the fact that the figure they have a satanized — Russia’s Putin — expressed approval of the withdrawal, but they didn’t oppose continuing the wars. Remove US spy-agency saboteurs, US mercenaries and other operatives. Ensure that no state gives external support to ISIS, al-Qaeda and the other jihadists in any way. End all economic and political sanctions on Syria as evidence US is ending all efforts to overthrow President Assad. Stop trying to force US allies to replace US troops and funding; insist that those allies, including Turkey and other NATO powers, Jordan, Israel and the Gulf States, end their invasion of Syria, remove all their military forces from Syrian territory and respect Syrian sovereignty. End the US effort for political isolation of Syria, preventing Syrians from traveling and doing commerce internationally. Open US borders to Syrian refugees, terrified by the bombing, devastation and chaos that US imperialism enabled.